Everyone has a New Year’s resolution…and normally it includes healthy eating and a stricter work out diet. Of course mine wasn’t any different, especially since I have a wedding to throw and 9 others to attend. So when my fiance and I headed to The Mix/SoCo/OC Mix Mart to scope out some engagement picture options I offered up Greenleaf as a healthy option. Greenleaf is a counter walk up restaurant, but with lots of indoor and outdoor seating. There are five locations, both in Los Angeles and Orange County. 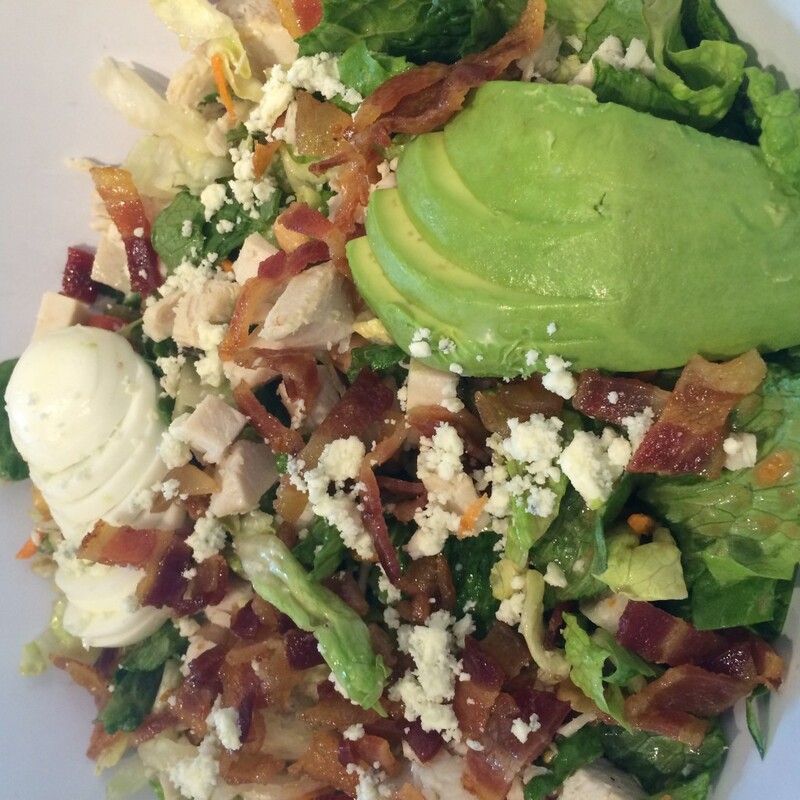 It has build your own salads, hot entrees, sandwiches, soups, burgers, pizza – you name it. It really has something for everyone. It also has a special brunch menu that includes smoothies, juices and protein shakes. I also enjoy the organic sodas and alcohol options. 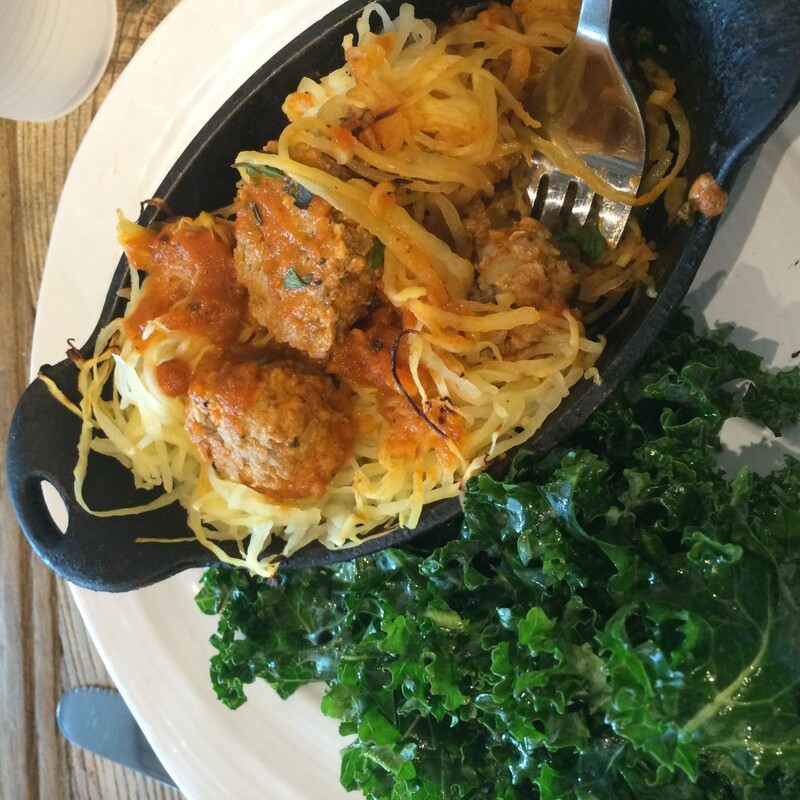 On this occasion, I decided to get the spaghetti squash pasta with turkey meatballs and a side of kale. My fiance ordered the cobb salad (which is fabulous). The salad was huge and quite filling. The turkey meatballs were really tasty, but the dish was quite small for the price. I don’t think that I would order it again because I was hungry an hour later. I haven’t tried other entrees but the salads are always great! What do you think of their Albacore Tuna Salad Sandwich with sunnyside up egg? I’m having trouble imagining what that would taste like.